I've been in need of a second body for some time. I've been using a D3s as my main and a D2hs as my 2nd but I just don't get the quality I want from the old D2hs. I've been waiting for a D400 for years like most of you but am getting an itch to get it replaced soon. My choices are D3, D3s, D3x, or a D800. I can get a D3 for about what I would expect a D400 to be priced new. Being I was wanting to get a bit more reach from my 400 2.8 I might step it up to the D3x or the D800. Another D3s is really not needed, a used D3x is cheaper. I have seen some 40 x 60 inch images from a D3x that were beyond good. No, I will not get a D7100. The D3x is not exactly a high ISO champ, so if you are looking for an improvement in that area, the D3 or D800 are a far better choice. I have a D3s for high ISO and speed, I'm looking at quality more that speed for that 2nd body. @framer: Hay there, I would highly recommend the D800. Mount your 400 2.8 on it and go to town. D300s if you want DX. I'm thinking about grabbing a refurb from the Nikon store. D300s would be useable but I would be looking to replace it in 6 months. I want something that I will use for 5+ years. I'm also getting tired of waiting for the D400, but I want to stick with DX. I figure I can sell the D300s when the D400 finally arrives. Yeah, I'll take a hit, but stil get out cheaper than a D800. All these great comments about the D800. But what about the slow number of frames per second and you shoot some wild life and a some birding? 4 FPS is slow when you look at what the D300 does. Any of them will be, the D2Hs shoot at 8FPS, so aside from the D3, all are slower. Framer already said speed is not a requirement anyway. I got a used D3x not long ago - the picture quality is amazing. The controls of the D3x are virtually identical to the D3s which would make it completely intuitive to swap between bodies. D3x also uses the same battery as the D3s which would be very handy, especially if you travel. The D800 is a great camera as long as you have a pc that is up to scratch - 36mp files may slow your workflow considerably otherwise. The Nikon refurbished store has a sale on everything right now the D800 was $2159 but at the moment it shows out of stock, they do have the D300 for $950 no D300s though. You sir make a strong case for a D3x, I had not considered the battery or the exact handling issues. I have several extra batteries and also an F6, D3s and D2hs all using compatible batteries and charger. I have a lot too consider. I do see having the exact same controls and batteries being a bonus but would want the ability to shoot autofocus at f8, I would go for the D800. D800's files are better than the D3x and is almost at the same build quality. The ability to crop with so much detail is amazing. 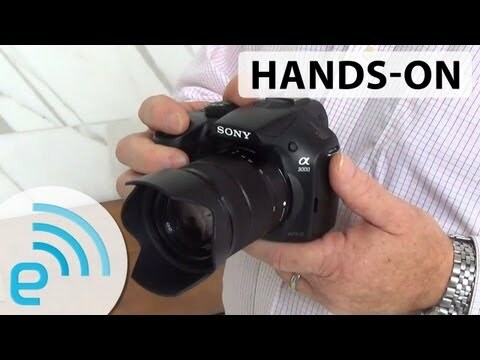 If you are looking at a D3, A D700 with grip is cheaper and essentially the same thing. I have the grip (D300 is the same) and have been watching the price drops to have one of these as a back up camera. My brother in law is a wedding photographer, he shoots a D3s for low light and a D3x for portraits etc. Hired a D800 as a possible replacement for the D3x and said that for him the ease of using 2 bodies that were identical and only needing one type of battery for events outweighed the extra megapixels (I was considering a D800 as well). He obviously does a LOT of shooting though and obviously your mileage may vary. He also mentioned the processing time as an issue, but ultimately wasn't the deal breaker. For me I only have 1 body so the controls weren't an issue. However the cold temp ability and battery capacity of the D3 series was a definite plus. Was shooting in the Tetons in winter with my old body and batteries were only lasting about 30 mins in the cold! After thinking about this over the weekend I'm getting more interested in the D3x than any other body. 1- I'm upping the quality on what I have. 2- The batteries @ charger are the same. Nothing extra to carry. 3- Controls 99.5% the same between bodies. 4- The usability time frame would exceed even a D400 coming out today. Nothing is perfect except the camera the US government bought and stuck in that Satellite. Seems logical if you are willing to pay the price for it, even if newer cameras are better and less expensive. Of all my equipment I bought over 40 year 80+% was used. I don't see the relationship between buying new/used and doing professional work. I think it is the ability to get a warranty on the new gear that would be attractive if you were running a business.